Some days just call for cuddling up and reading some Christmas stories! This week we've looked at holiday lights, made gingerbread houses, decorate name trees, played with playdough, and more! It has been a busy week! 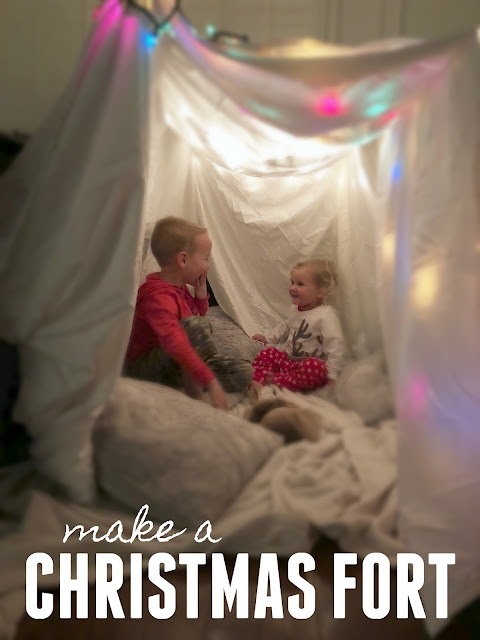 To relax and enjoy time together today, we are going to make a Christmas Fort! To set up our fort, we strung two long pieces of rope across the room and attached them to chairs and sports on the window blinds. 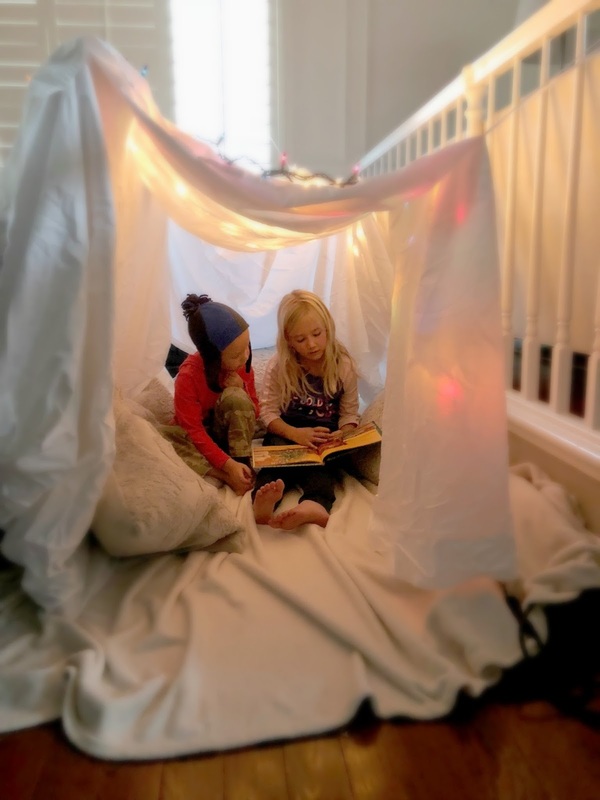 Next, we hung our sheet over the ropes to make a fort. Then we added pillows and blankets just to make it cozy! Once the fort was set up, the kids were ready to play on it! We grabbed some books to read inside too and we may have even let the kids sneak in some cookies. We had a tiny hole in the back of the fort that could also help it serve as a tunnel as well! The kids loved it! 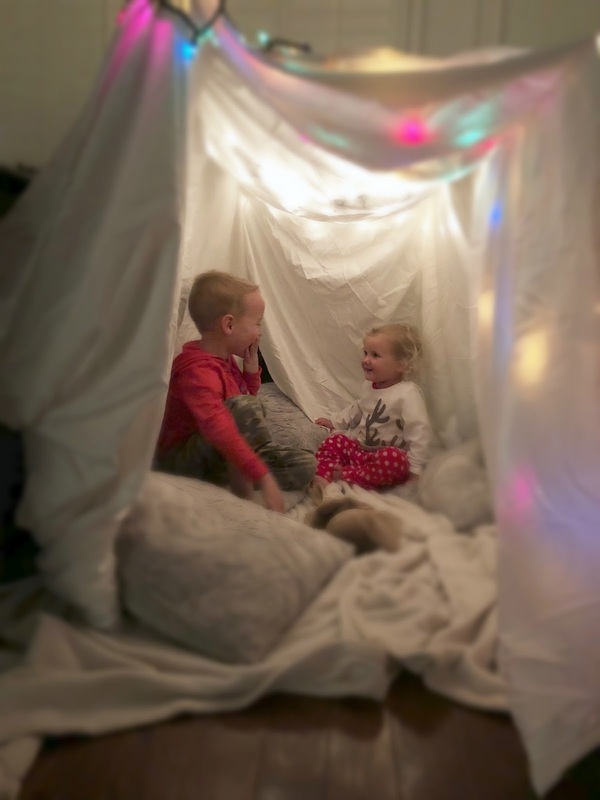 I loved watching little conversations happen while the kids were snuggled in close together in the tent. This might be my favorite new tradition! 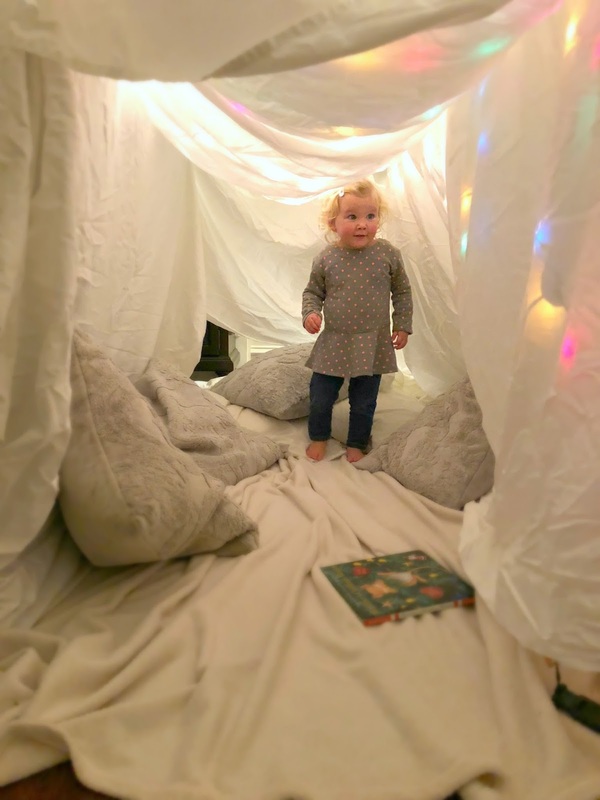 Have you every made a Christmas fort with your kids? Have you missed any of the 23 Days of Christmas activities? Check them all out HERE.